Copyright – what are you allowed to do? Copyright – how much of a copy is too much? There is no magic % that you are allowed to copy from a copyright work. The test is whether looking at it objectively someone might think there was copying. Copyright – What are you not allowed to do? Make an adaptation of someone else’s work eg. Photograph a painting, writing a play based on a novel. Copying onto your hard-drive, downloading, printing, copying to disc, emailing a copy, cutting and pasting, modifying are all prohibited activities, unless you have the permission of the copyright owner. EXCEPTION – you can make copies of material which a website authorises you to copy or material that is no longer under copyright protection (copyright can last for 50 years after the death of the creator). Copyright automatically exists as soon as you create a creative work such as a drawing, a book, a photograph, a song, provided your creative work is original (not itself a copy). Other works that attract copyright are computer software, written documents (such as office policies and procedures), layout and design (eg of a website or a brochure). Even a telephone book as held by courts to attract copyright. Preferably lodge copies with an independent third party like a lawyer or accountant who can attest to the lodgement date and what was lodged (if your rights are challenged). Who owns the right to file patent/design/trade mark or who owns the copyright? If you create something while working for another person often your employer will own the intellectual property rights in what you create – even if it does not say so in your employment contract (but there are exceptions to this rule). 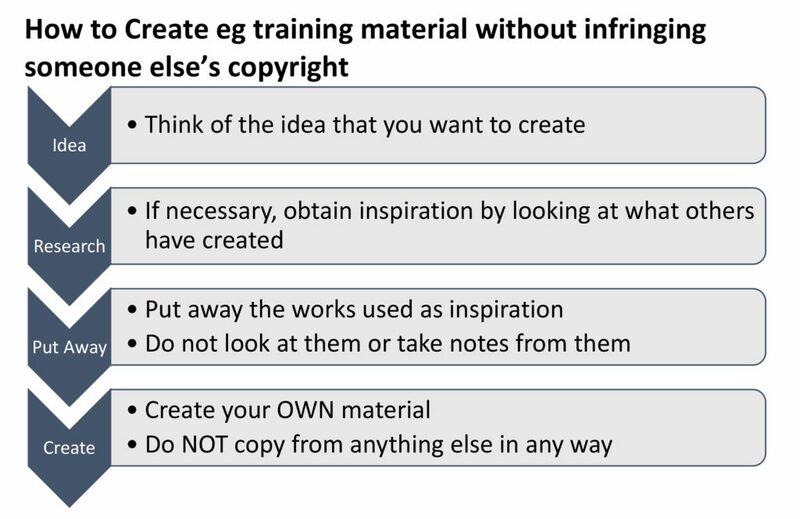 Exceptions to employer owning intellectual property in creations of employees – where you create something in your own time, with your own resources, which is unrelated to your job eg. If you work as a check out operator and create jewellery at home. The law becomes more complicated if (as often happens) that the creator might have used some of their employer’s resources or equipment or did some of the creation during working time. If someone pays you or offers to pay you to create some copyright works (eg a painting, photograph, diagram) THEY OWN THE COPYRIGHT – even if they do not actually pay you! If you want to retain the copyright you need to make that clear IN WRITING eg suitable terms and conditions. Intellectual Property Rights in creations made while at school or university might belong to the school or university (it depends on the terms of the enrolment contract. When creating or inventing something that is going to attract Intellectual Property Rights, we strongly recommend that you have a written agreement relating to ownership BEFORE anything is created. Although, there are some provisions about ownership written into the law, it is possible to change the default position by written agreement. Having a written agreement tends to minimise the chances of disputes over intellectual property rights ownership. What Are Moral Rights In Copyright Law? Moral Rights can be waived but not transferred. Many contracts assigning copyright also include a waiver of moral rights – once these rights are waived, the artist is not entitled to enforce them in the future. Any of the business disasters listed below could be avoided, if you take proper advice from a patent and trade mark attorney, you can avoid these situations. You register your company name and Australian Business name and trade happily for many years. Out of the blue a competitor sues you for trade mark infringement and you discover that they have registered your company name as their own trade mark. You can probably get it back, but cannot afford the $100 000+ legal bill. As part of your artwork, you create a series of cartoon characters. They become more famous than the Simpsons – but Disney Studios steals them from you! You paint an amazing painting, and all of a sudden it is world famous. It is reproduced on postcards, books, tv , movies – but the owner of the painting claims that as the artist you have no rights to the reproductions – even if they distort or ruin your original. You design a children’s toy that becomes very popular and profitable. It sells in all the top stores – until the $2 shop sells a replica, and your income from the toy stops because everyone buys the $2 toy. You create an incredible new process that makes producing medicine quicker and safer. You are confident that you are going to be rich until your employer sues you and says that they own the intellectual property rights.